Planting native species can benefit the environment by reducing water use, lessening the need for fertilizers and pesticides, and promote pollinators (like bees, butterflies, birds & bats). Generally speaking, native plants can result in lower, long-term maintenance costs, increased plant hardiness and less work for you. Which is a win for the environment and a win for you! You can think of native plants in 4 different categories which will be covered in 4 different parts: wildflowers (part 1), ferns (part 2), trees, shrubs, and vines (part 3), and, grasses, sedges, and rushes (part 4). From there you can break it down further like you would any other plant; light requirements (full sun, part sun, shade), moisture requirements (dry, average, wet), height of plant, and any other special notes (aggressive, attracts butterflies, groundcover, etc). 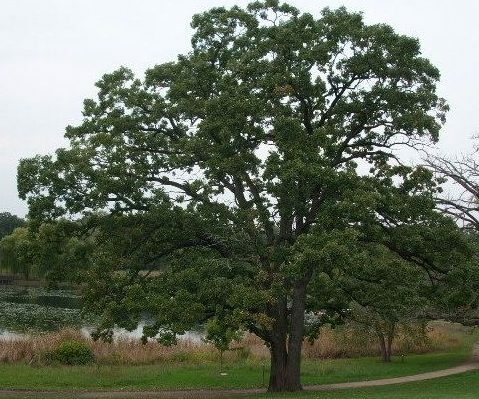 White Oak Tree - When young the white oak looks pyramidal, but when mature it has an upright rounded habit with spreading branches. In fall its foliage is wine red. These are slower and more difficult to transplant than other oak trees, but they are not as susceptible to disease and insects. Alternate Leaved Dogwood - This type of dogwood is frequently overlooked in landscapes. It offers horizontal branching and breaks up all the vertical elements in the landscape. The tree blooms in white flowers followed by blue to black berries. In fall the leaves have a red color. 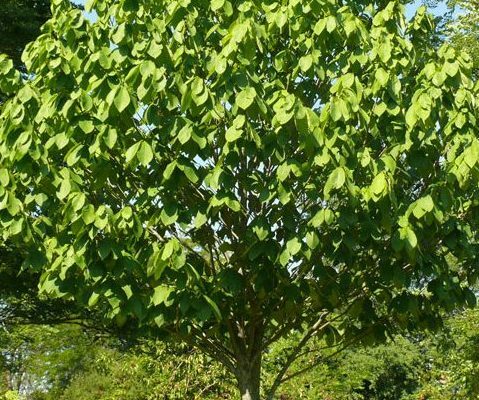 Common Paw Paw - The Paw Paw is a smaller tree with spreading branches to form a dense pyramid head, or round topped. The tree often looks tropical because of the dark green summer foliage. It bears edible brownish-black fruit that tastes similar to a banana. Bush Honeysuckle - Mound-shaped, spreading plant which has great cold hardiness. Works very well in mass plantings and on slopes. New foliage is bronze-green and in fall it turns reddish-bronze. In June and July the shrub produces small yellow trumpet shaped flowers. New Jersey Tea - Low-growing, spreading, works well in mixed borders and foundation plantings. 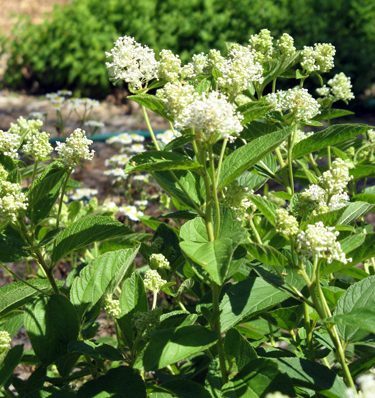 The New Jersey Tea has showy, fragrant, white flowers that bloom in mid summer. 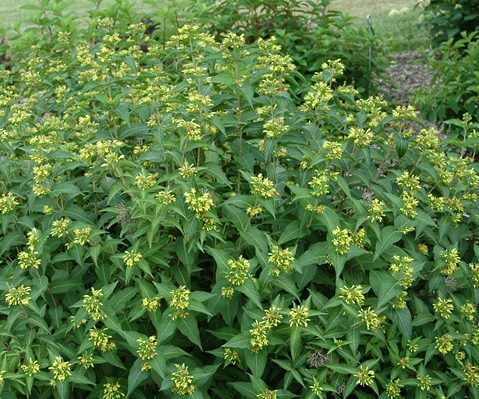 This shrub will attract hummingbirds and butterflies. 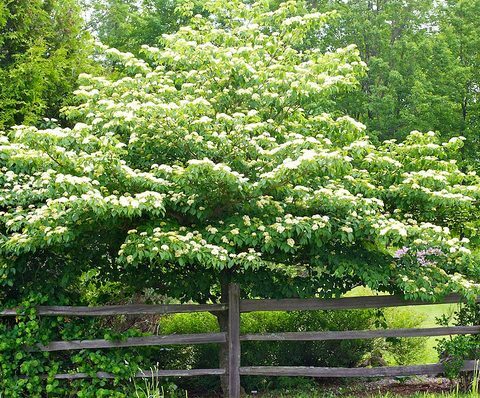 Arrowwood Viburnum - Large shrub that provides interest throughout the growing season. Creamy-white flowers appear in May followed by dark blue berries in September. The fall color on this Viburnum is a yellow-red to burgundy. 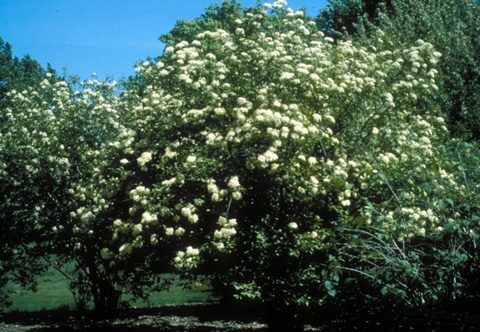 Blackhaw Viburnum - A second, larger species of Viburnum, that adds interest throughout the growing season. 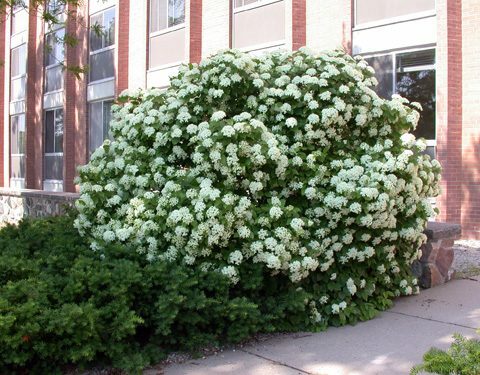 This Viburnum also has creamy-white flowers in May followed by pinkish-rose black fruit in fall. The fall color of this shrub is purple to red. These species of Viburnum develop into a large shrub but can be trained into an informal tree. When you're ready to fill your garden with native plants, be sure to give us a call, we can help turn your landscape dreams into reality! Be sure to follow us on Pinterest and Facebook for new ideas and inspiration. You can also check out our Houzz page, featuring recent projects and client reviews. 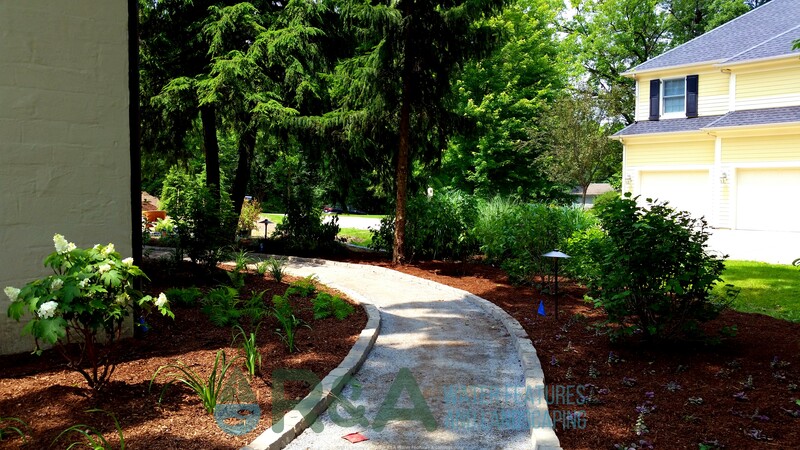 Contact us today to get started on your next outdoor living project!